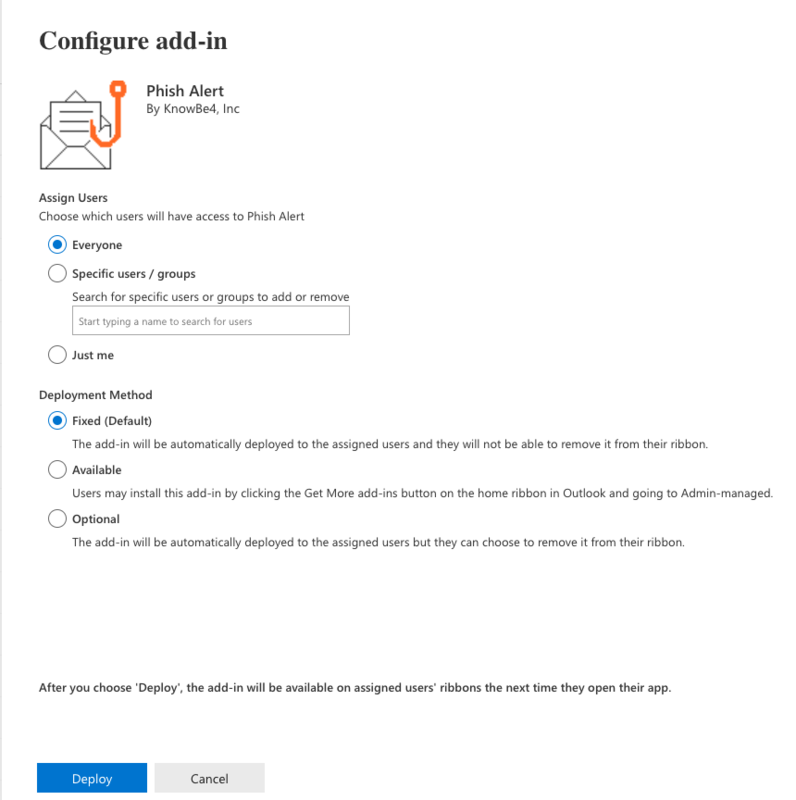 The Phish Alert Button (PAB) add-in for the Microsoft Outlook mobile app (iOS and Android) and Office 365 gives your end-users the ability to report suspicious emails from not only their computer but from their mobile inbox as well. This empowers your employees to take an active role in managing the problem of phishing and other types of malicious emails. 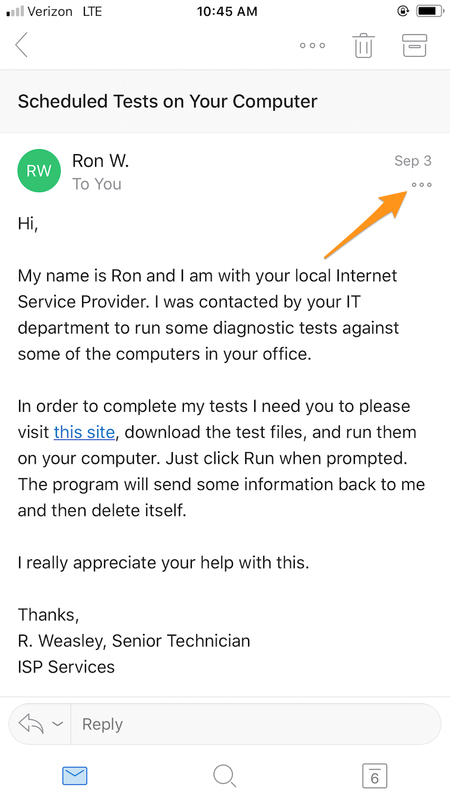 The tool can also provide your IT or Risk Management team with early warning of possible phishing attacks or malicious emails so they may take timely and effective actions to prevent security breaches or network compromise. Paid Integration: If you are using our full-featured Phishing and Training console, the PAB will also track if your users report our simulated phishing emails, so you can see which users are successfully identifying potentially malicious emails. For instructions on how to enable and configure your PAB in the admin portal, visit our main PAB article. Microsoft disables the use of add-ins in shared mailboxes and folders. Users will only be able to access the PAB add-in from their primary mailbox. Step 1: Log in to your mail server Admin portal. Under the Settings menu, click Services & add-ins. Step 2: From the Exchange Services & add-ins screen, click Deploy Add-In. This will take you to the Centralized Deployment add-in management screen. 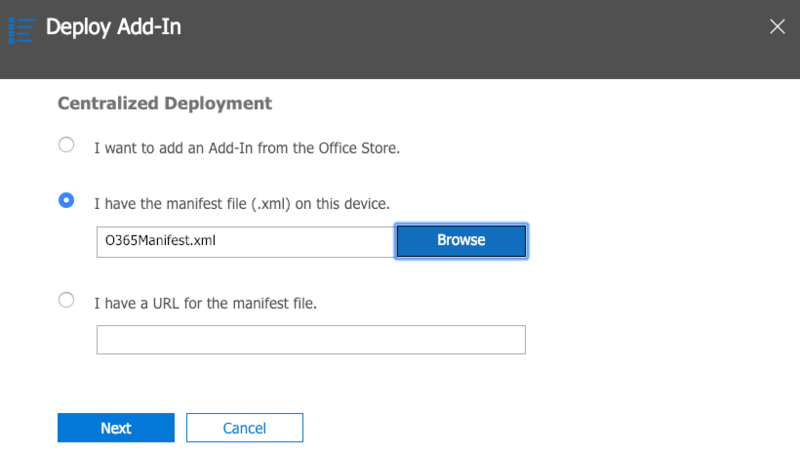 Step 3: From the Centralized Deployment area, click the I have the manifest file (.xml) on this device. radio button and then sign select the Browse option. Step 4: A file browser pop-up window opens. Locate and add the O365Manifest.xml file from your Account Settings and click the Next button to install. 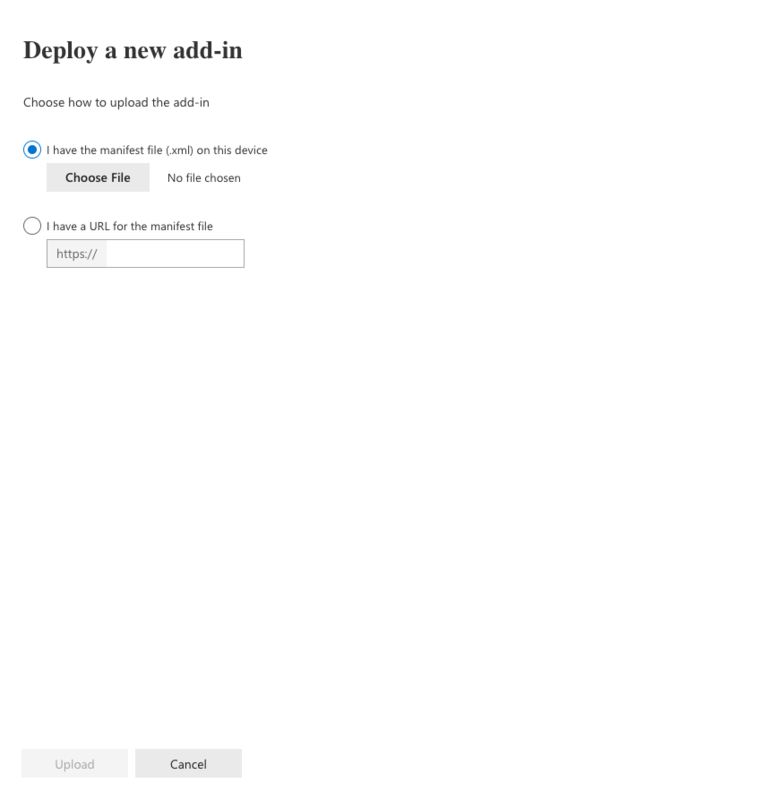 Step 5: Select which users will have access to the add-in and which deployment method to use. We recommend that you make the add-in accessible to Everyone and to use the Fixed deployment method. You will need to click (View options) to edit the deployment method. If you'd only like to enable this version of the PAB to specific distribution groups in O365, see step 6 in our Multiple PAB Instances in Exchange or Office 365 article for details on this process. It can take up to an hour for the PAB add-in to be visible on Office 365. Step 1: Log in to your mail server Admin portal. Then, navigate to Settings > Services &add-ins. Step 2: Highlight the Phish Alert add-in. Then, click the Delete Add-In icon. Once installed, the PAB add-in will be available from any open email in the compatible mail clients, including the Outlook app for iOS and Android. 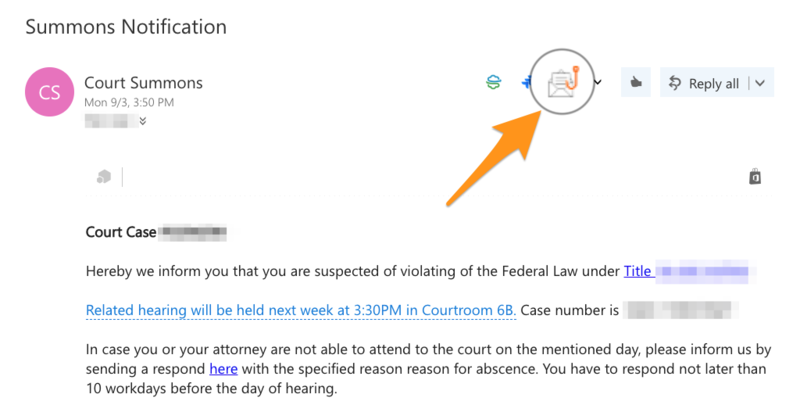 In O365, the Phish Alert Button will appear on the top right of the email message, as shown below. If a user is using Outlook Online and The new Outlook toggle is turned on, the PAB will be found in the drop-down menu of a message. A user can report any email as a phishing email. The reported email will be in the users' Sent Items as a forwarded message and will be deleted from the user's inbox. 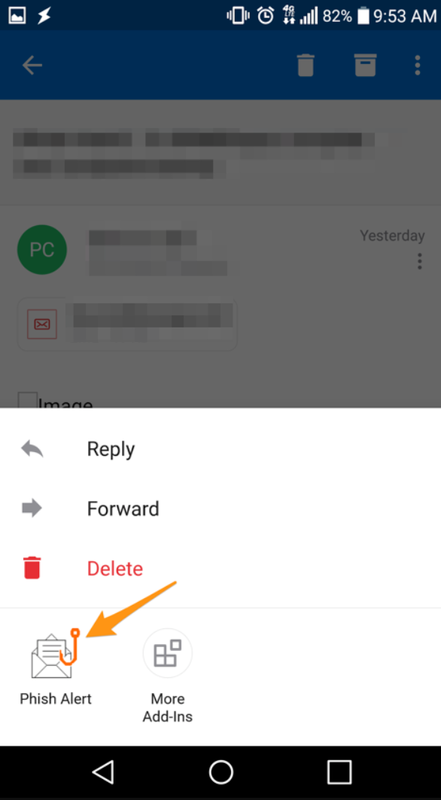 If the user incorrectly reported the email, they can retrieve it from their Deleted items/Trash. 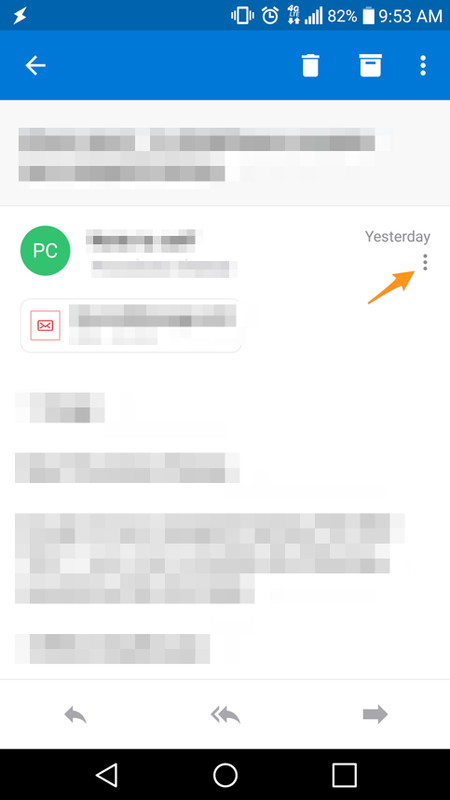 If users want to report an email using the PAB from the Outlook App on an Android device, they'll first tap the three dots at the top right of the screen, as shown below. Then, they'll see Phish Alert listed in their add-ins. 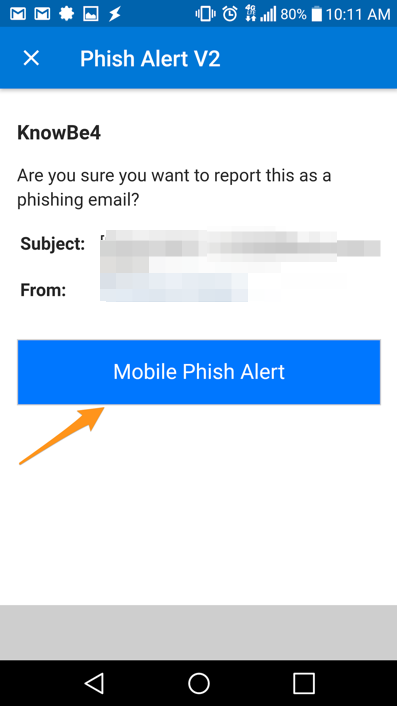 Once they've selected the Phish Alert add-in, they'll be brought to the screen shown below to confirm that they want to report the email. 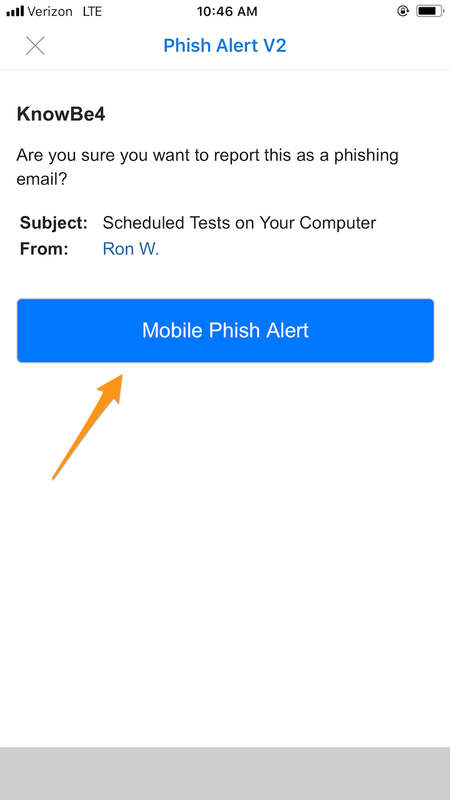 From this screen, they'll tap the Mobile Phish Alert button to confirm submission. 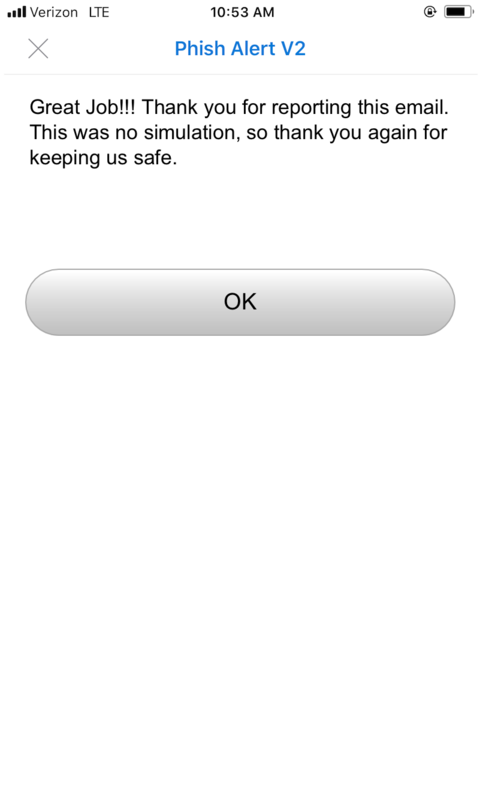 After the email has been reported, the message you've set in your Account Settings will display at the bottom of the screen, as shown below. 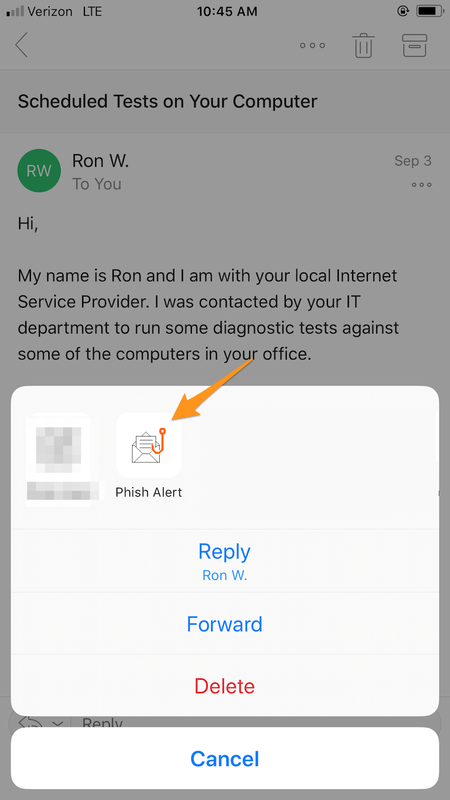 If users want to report an email using the PAB from the Outlook App on an Apple device, they'll first click the three dots at the top right of the screen, as shown below. Below are questions you may have regarding the Office 365 PAB. If you don't see your question answered below, contact support. Q: My users aren’t seeing the PAB in their Outlook app on their phones. Why? A: When installing the PAB, did you make the add-in mandatory? This is step 5 of the installation process. The PAB will not appear in Outlook for mobile if the add-in was not deployed using the Fixed method. Your users must enable the PAB themselves in their Outlook app settings. Q: Can I publish the PAB add-in using any other method? A: Yes, the add-in can also be sideloaded. Please contact support for assistance. 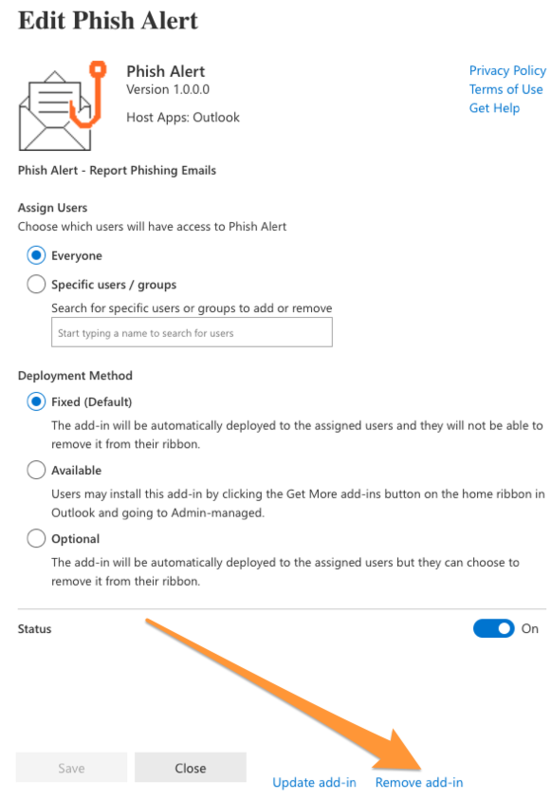 How Do I Use the Phish Alert Button for Office 365?